The weekend had started perfectly for Danny, topping both of Saturday’s free practice sessions by comfortable margins and it set him up nicely for Sunday afternoon’s 25-minute qualifying session. 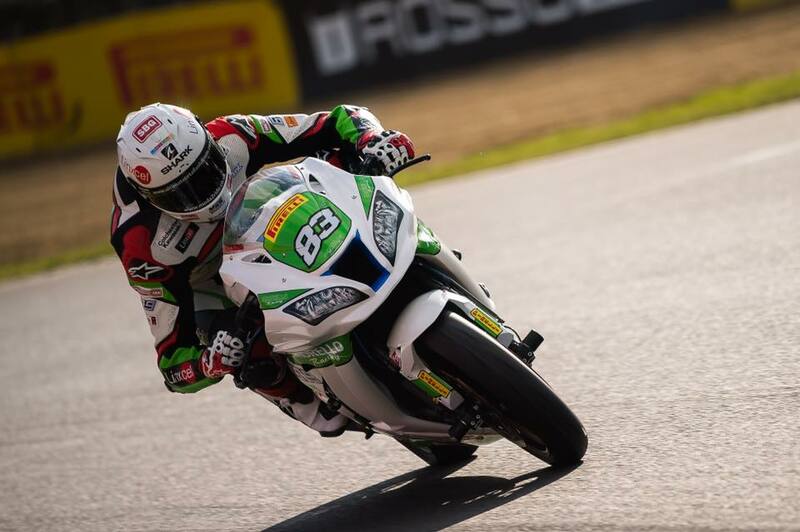 However, no sooner had the Basildon rider set the quickest lap, he crashed out at Old Hall Corner fortunately without injury although his time was still good enough for third place on the grid. 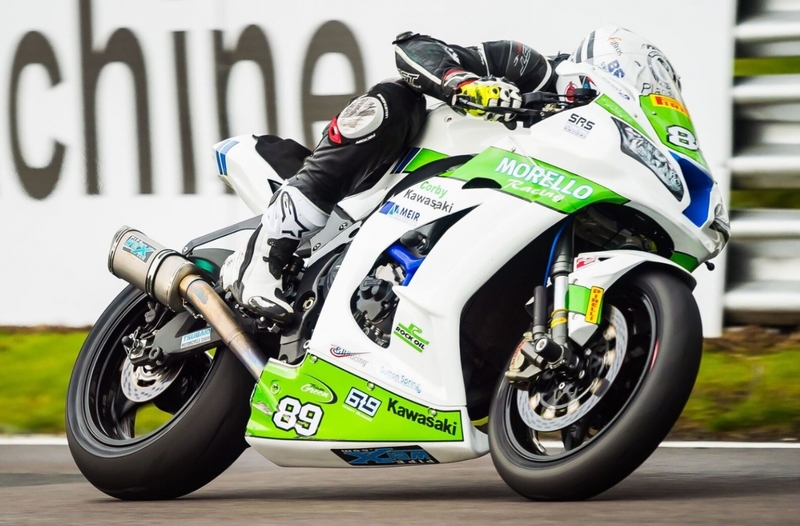 Team-mate Rogers also had a good session on his Kawasaki ZX-10R and, showing excellent form, he qualified two places behind his team-mate in fifth to put the team in a good position going into Monday’s 18-lap race. Race day at the Cheshire venue dawned damp but Danny led at the end of the opening lap and when, two laps later, Richard Cooper and Adam Jenkinson crashed out his lead shot up to six seconds. 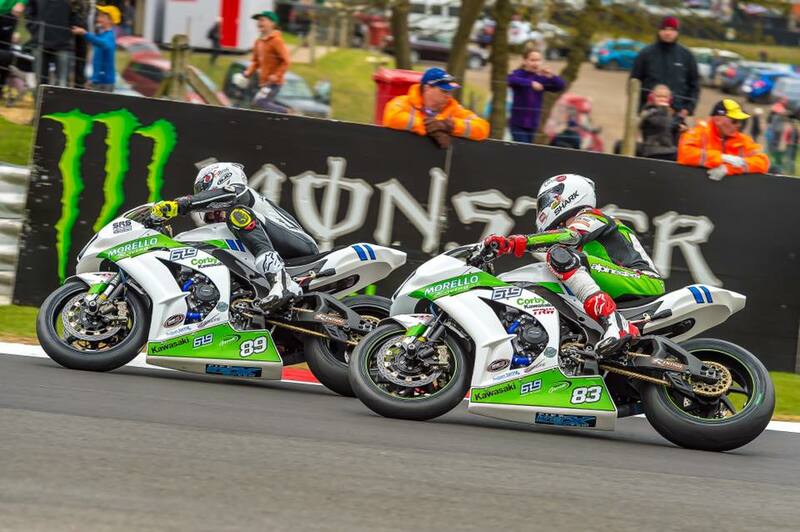 However, spots of rain meant the race was red flagged and restarted over just nine laps with Danny on pole and Fraser in seventh, the Chippenham rider having been up to fifth at one stage. 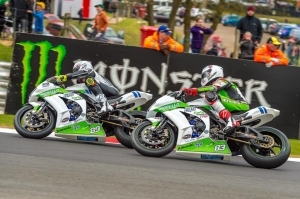 The re-start saw Danny lie in fourth and Fraser, who had opted for dry tyres, in seventh at the completion of the first lap but on lap two Danny was in trouble and pulled in to retire with a technical issue. Fraser’s dry tyres were coming into their own though and he rapidly moved forward, moving into the lead at the end of the third lap. However, by lap five, the rain returned, particularly on the back part of the circuit and as the conditions worsened, he was powerless to respond and gradually slipped back through the field. 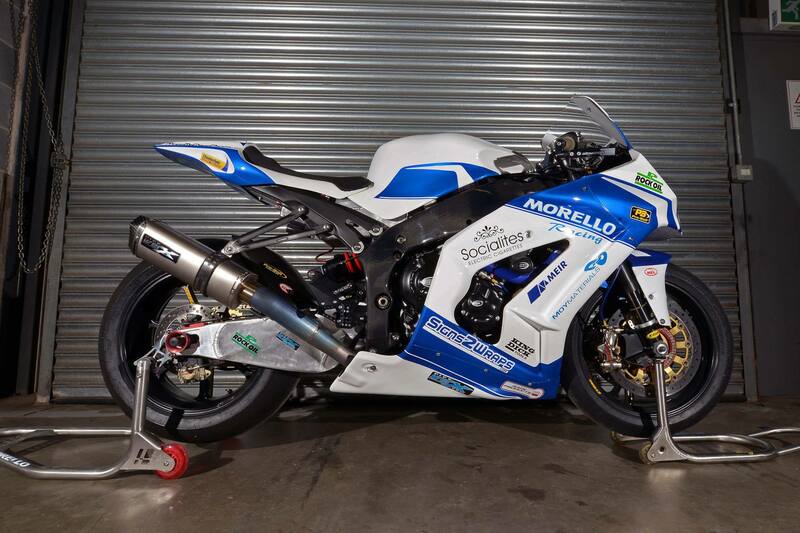 In a race that had promised so much, and looked like would give him his maiden Superstock win, he cruelly crossed the line at the end of the nine laps in 18th place, no reward at all for his efforts. 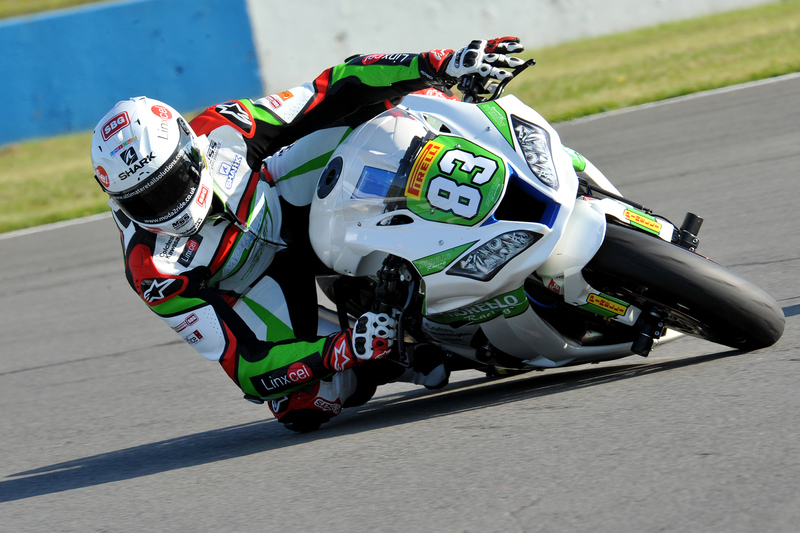 The next round of the series takes place at Donington Park on May 26-28.